Watch the back legs. 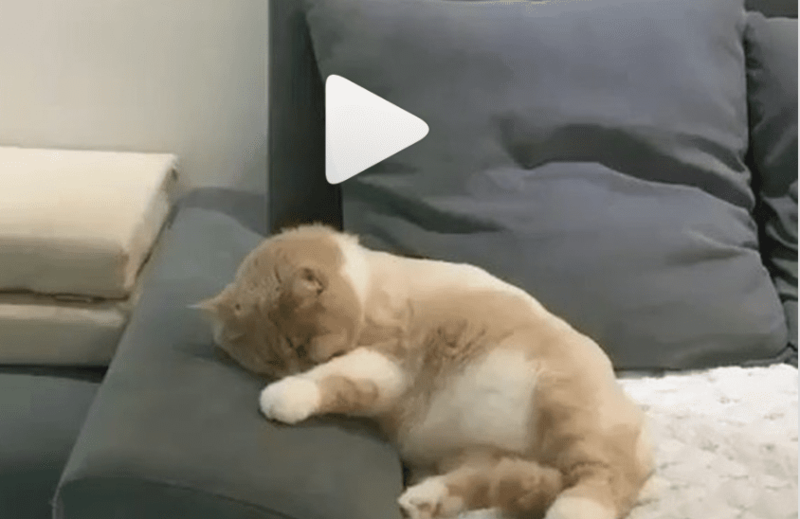 This cat is deeply asleep while he dreams of a pursuit that gets faster and faster, until the dream ends or he just gives up. You decide. “Knock it off. 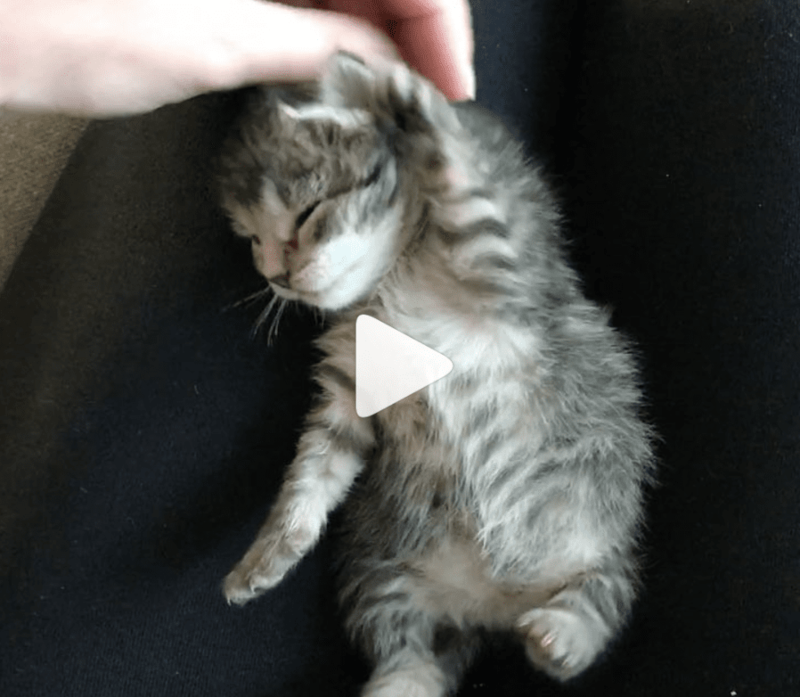 Some of us are trying to nap.” This snoozy kitten named Parker considers whether to wake-up and attack the hand, or surrender to a soothing tummy rub. So cute. Bet you can’t watch this just once! 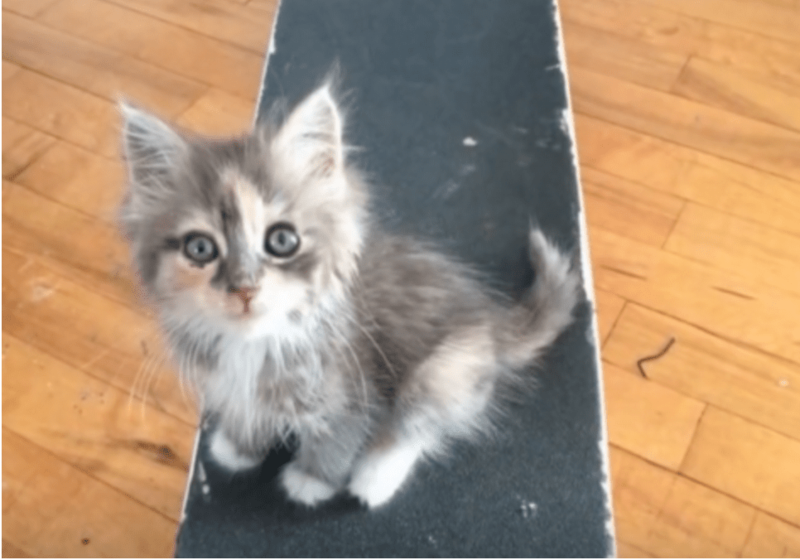 This is a story with a happy ending, but it might have turned out very differently if this tiny kitten had not been so brave, according to this report on the Animal Rescue Site and also on YouTube. 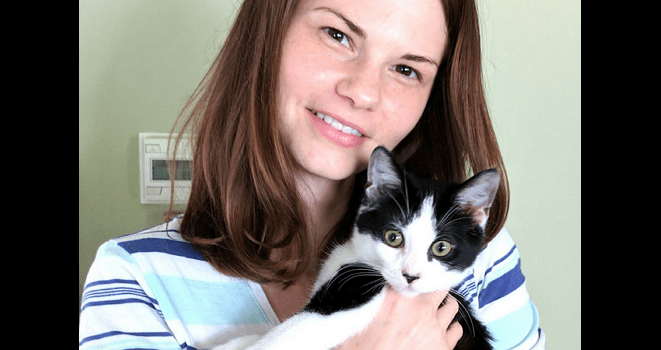 Four-month old Wilbur was born with a spinal defect, but according to his foster mom, he is one amazing kitten, one who doesn’t even know he has an issue. 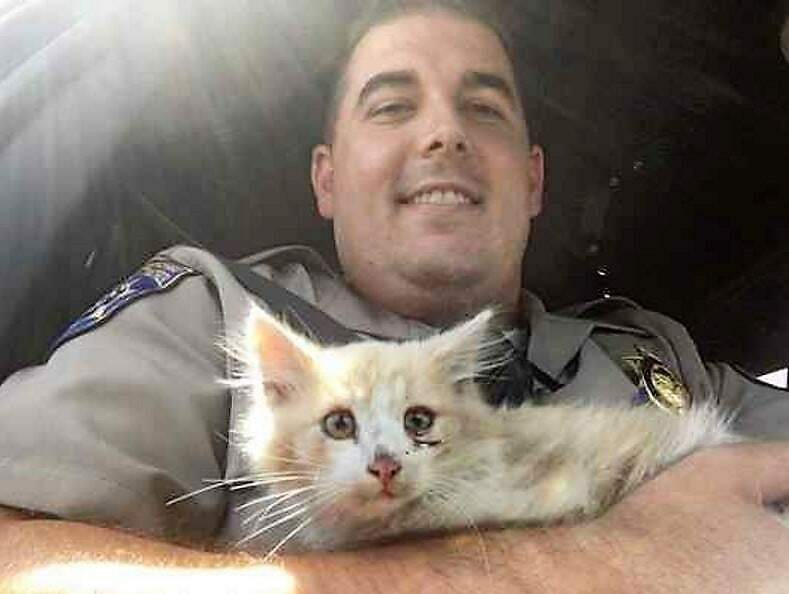 When CHP officers were alerted to a kitten on the busy Golden Gate Bridge in San Francisco, they weren’t going to give up easily. How Many Firefighters Does it Take to Rescue a Kitten? When a group of women returned to the car after shopping to hear it meow, they knew something had to be done. And who better than the fire department? A healthy set of lungs helped alert a driver to a kitty who had crawled up into a wheel well of her Buick Encore. 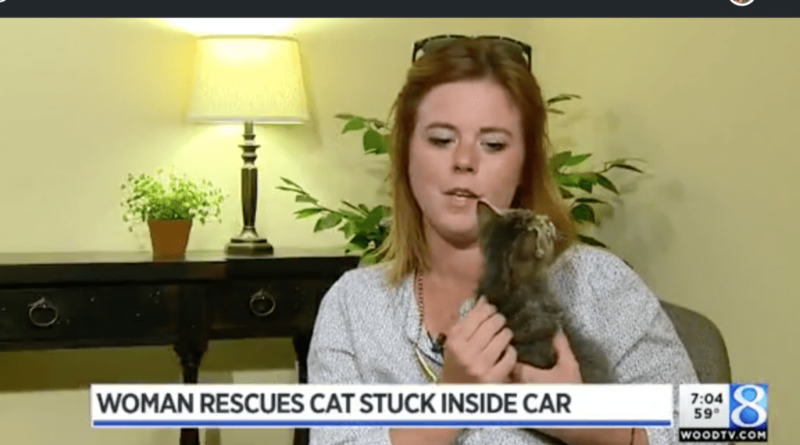 The driver took the car to a local dealership, where the mechanics got to work and gently extracted the frightened feline. 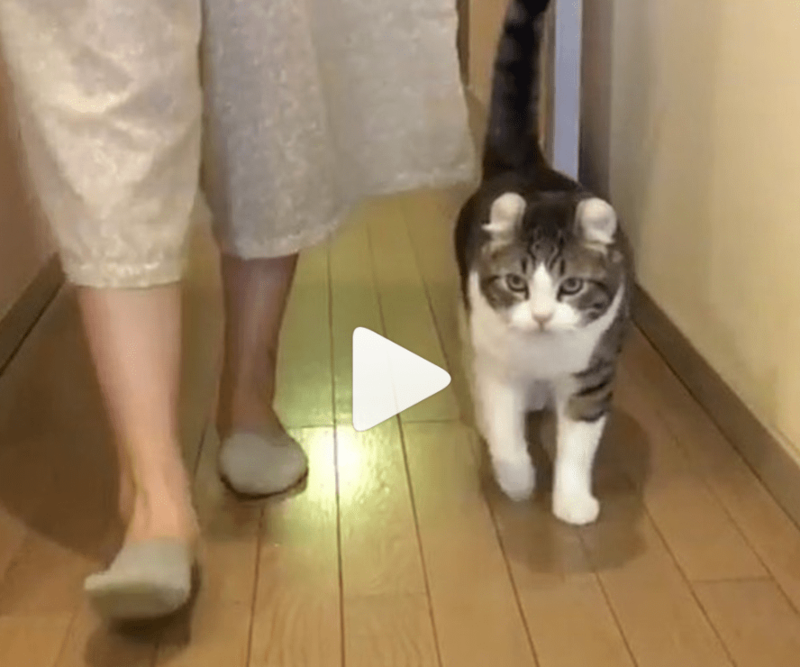 “Wherever she goes I know he goes.” Snow the American Curl, who lives in Tokyo, gives his cat mom a very loving look as he trots along beside her in this sweet video. Look carefully. 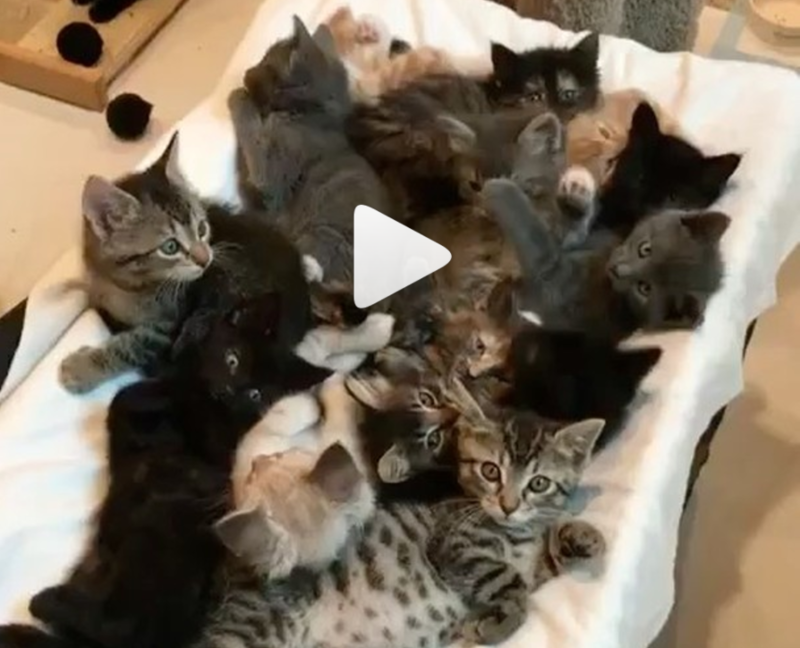 Are there 12 or 13 kittens in this video of a squirmy snuggle pile? Check out the little one in the middle whose tiny face is the only part of him that’s visible. 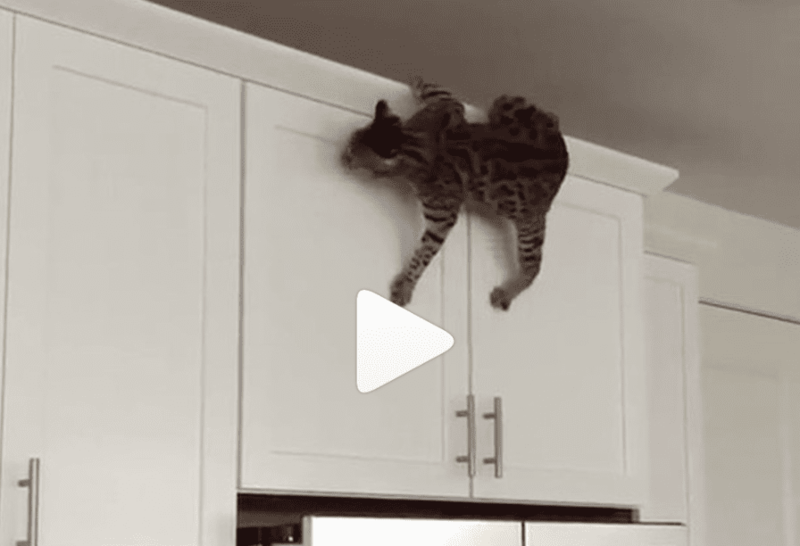 Mochi demonstrates an interesting approach for getting from the top of the cabinets to the top of the refrigerator. Why jump head first when you can Spiderman your way down?